You’ve got the drive and desire to work from home but don’t exactly have the right skills. Don’t worry! This doesn’t mean you can’t still land your dream work from home job. After all, your options are only limited by what you’re willing to learn. So, if you’re ready to take work from home action, you’re in luck. There are a number of amazing (and affordable!) online courses that can turn your work from home dreams into reality. 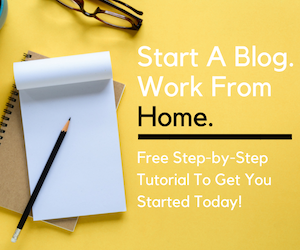 Whether you want to become a writer, have your heart set on learning to code, or think you’d make a great proofreader, take action today and learn the skills you need to land the work from home gig you want. One of the most in-demand and highest paying work-from-home friendly careers is web development. Everyone from businesses to bloggers needs a website. And often times they turn to professional web developers to get the job done. Think you need a degree and years of practical experience to make it as a web developer? Think again. In just six short weeks, you can learn web development from scratch — absolutely no prior experience required. More than 200,000 students have taken the Complete Web Developer course on Udemy to date. The ratings and reviews alone speak to how comprehensive and effective this course is in helping beginners launch a lucrative career as a web developer. His name is Rob Percival, a Cambridge University mathematics graduate. He’s currently a professional code teacher and uses this experience to offer an easy-to-follow and fun course that will teach you everything you need to get started as a web developer. This really is a complete web developer course. Over the 11 chapters, you’ll learn everything from setting up web hosting to creating mobile apps. Specific topics covered include HTML, JS, PHP, CSS, WordPress, Bootstrap, MySQL, and Mobile Apps. As a bonus, you’ll receive several e-books to help you successfully go from student to paid web developer. There’s even a free book that shows you how you can earn $10,000 as a student. The course comes with a money-back guarantee. When it comes to flexibility and volume of work available, I can’t think of a better work-from-home option than general transcription. Sure, there are a number of transcription companies that will take a chance and hire a complete beginner, but wouldn’t it be nice to have your own independent general transcription career? Well, you can! Transcribe Anywhere is an all-inclusive online course that will teach you how to work from home as a general transcriptionist. Everyone from content strategists to SEO pros and podcasters use transcriptionists to grow their businesses. This means there is plenty of opportunity out there for you to find clients, set your rates, and start earning a genuine income from home as a general transcriptionist, and the General Transcription: Theory & Practice course will show you how. Your instructor will be Janet Shaughnessy, a professional transcriptionist and transcription business owner with more than ten years of experience. She’s combined her practical experience and knowledge to help beginners transform into professionals in as little as two to four short months. 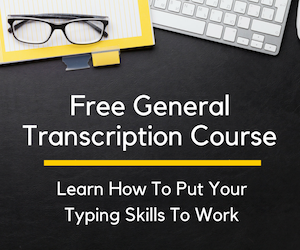 This all-inclusive course will provide the solid foundation needed to start a general transcription career. This includes everything from the get-started basics to post-course completion marketing tips. You’ll also get a “100% thorough” guarantee — if you feel anything is missing from the course, they’ll add in whatever’s missing — for free! To make it affordable for anyone who’s serious about becoming a general typist, Transcribe Anywhere has a flexible pay-as-you-go option. Not sure if a career in general transcription is for you? Explore the idea with the free mini course offered by Transcribe Anywhere. There are endless possibilities to earn a living from home as a freelancer. You can become a writer, editor, artist, designer, ghostwriter, copywriter, consultant, life coach, virtual assistant — seriously, the list could go on and on. With such a wide variety of potential career opportunities, it may seem impossible that one course could perfectly explain how to be a successful freelancer — but there is! Freelancing: Business strategy, Sales, and Contracting is a really thorough course that can show anyone the way to freelance success. Even if you’re not quite sure yet what your freelance service offering is, if you have the desire to earn a living on your own terms, this course can show you the way. Davis Jones, co-founder of Eazl and MBA holder from one of the Top 50 MBA programs in the world as rated by The Economist. He has taught more than 22,000 students how to succeed in everything they do, whether it’s becoming an Airbnb host or crafting the perfect resume. This course will teach you how to “find your tribe,” design a compelling product or service, and price your offering competitively. You’ll also learn how to develop your freelance business and manage relationships with your clients — the right way. This course also has plenty of expert interviews and actionable advice. If you’re an aspiring entrepreneur, freelancer, or virtual worker, this course will lay the groundwork you need to start your career off on the right foot. Have eagle eyes and been looking for a way to use your superior skills to make money from home? You may just be the perfect transcript proofreader! Transcript proofreading is a flexible way to earn a side income or a full-time living, and can be done from home or wherever you’d like. Court reporters rely heavily on proofreaders to go over their work in order to create a professionally polished (and error free!) transcript. 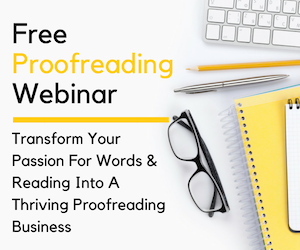 Even if you’re starting from scratch, the intensive online training course at Proofread Anywhere can arm you with the information needed to network and build your own work-from-anywhere business. A proofreader since 2007, Caitlin Pyle has worked in the court reporting industry since 2009 and uses her practical experience to guide students through the rigorous, yet rewarding, process of becoming a transcript proofreader. Her unique insight as a proofreader herself lends itself well to the intensive instruction you’ll find in the Proofreader Anywhere course. This course is designed to teach anyone with the right skills to earn an income as a proofreader for court reporters. You don’t need an English degree or prior experience to complete it — just the drive and determination to succeed. Transcript Proofreading: Theory and Practice starts from the beginning and explains what a court reporter is and what mistakes you’ll be looking for as a proofreader. It goes on to show you how to correct transcripts, explains the equipment you’ll need, how to get clients, and even tackles taxes for the self-employed! Keep in mind, proofreading transcripts isn’t for everyone. In fact, to make sure only those who are truly committed to success enter into (and finish!) the Proofread Anywhere program, it’s recommended to first take the free 7-day intro course. Technically, you don’t need any training or special education to make it as a home-based freelance writer — I can personally attest to that! Back when I began my work-from-home journey, I quit my job to become a freelance writer even though I had absolutely zero professional writing experience. And, I’ll be the first to tell you, it wasn’t the easiest roads to go down. I wrote for content mills much longer than I wanted to and even took incredibly low-paying gigs just to gain experience. But, the good news is, you don’t have to. At Write Your Way to Your First 1k, you’ll learn everything you need to start a freelance writing career without having to sign up for content mills or out bid your fellow writer one of the many marketplaces. This 7 week course is perfect for aspiring writers who have no degree and no experience. So, if you’ve always felt like you’d make a great writer but worried you didn’t have the right credentials or enough experience, this course was built specifically for you! Your teacher will be Elna Cain, a self-taught freelance writer who was able to start with no experience and quickly grow a lucrative career. Even more impressive is the fact that she did it all while parenting her twin toddlers full-time. In just six months, Elna became a sought-after writer in her niche and began earning a full-time income while working part-time and chasing two little ones around. She’ll share her secrets to success with you, so you too can find freedom in freelance writing. The method taught in this course is an effective and proven way for complete beginners to succeed as a freelance writer. In just 7 weeks or less, you’ll learn everything needed to launch a freelance writing career, even if you’ve never written a single word for pay before. Some of the things you’ll learn include building your writer’s platform, pitching and landing your first client, and where to look for freelance writing jobs — basically, everything you’ll need to earn your first $1,000 as a paid writer in 7 weeks or less. Of course, that’s just a small sample of what you’ll get when taking the course. The real benefit comes from learning the secrets of success from someone who was in your shoes and was able to build a successful career! Virtual Assistants are the jacks and jills of all trade who help others get more done. If you come from an administrative or clerical background (and even if you don’t) you can create quite a profitable service business as a virtual assistant (VA). As more and more solopreneurs, bloggers, business owners and busy professionals turn to virtual assistants to help them manage their to-do list, there’s a ton of opportunity for you to carve out a profitable little niche for yourself as a remote assistant. At 30 Days or Less to Virtual Assistant Success, you’ll learn everything needed to get a VA business off the ground, no matter your background or experience. And now is the perfect time to get started when there is such a high demand for VAs across a number of industries! Gina Horkey will be your guide (and cheerleader!) as you create your own path to virtual assistant success. Starting from nothing, Gina was able to build a booming VA business so quickly that she knew she had to share her method with others so they too could find the same success. While working part-time, Gina earned an average of $4,000 a month as a VA — when working full-time, she could nearly triple that amount. But don’t just take my word for it. Gina is pretty transparent when it comes to earning potential, and she will share her income reports with you to give you the inspiration needed to reach similar results! Seriously, this self-paced course offers a clear look at what it takes to become a successful VA, even if you have no idea how to start. If you still want to learn a new work from home skill but aren’t quite ready to make an investment — don’t worry! There are valuable (and free!) work from home courses that can also help give you a much-needed boost when getting started. The translation and interpretation field is growing by leaps and bounds. According to the U.S. Bureau of Labor Statistics, this work-from-home friendly industry is expected to grow much faster than the national average compared to other careers! If you’ve always wanted to learn another language, turn to Duolingo for help. This self-paced online learning platform is the perfect way to learn a number of different languages — for free. The program is so remarkable at helping to learn and retain a new language that just 34 hours of practice on the site is equal to the skills mastered in a semester of college! Thinking of breaking into the field of virtual assistant or remote administrative assistant but are a bit rusty on your computer skills? No problem! The Microsoft Virtual Academy has got you covered. Not only can you learn the ins and outs of everything related to Windows, there’s also beginner-friendly courses covering HTML & CSS, game development, web development, and visual studio. Learning to code is a valuable skill for just about anyone but translates particularly well to work from home jobs. If you’ve always wanted to learn to code but didn’t want to go back to school or invest a lot of money, you need to check out Codecademy. The work from home courses offered here are all free and can give you the skills needed to start a web development career. If you’re not quite sure which work from home courses are right for you but still want to beef up your resume and credentials a bit, check out Coursera. Coursera connects learners, like you, with free online courses from some of the best institutions in the world like Duke University, University of Michigan, Stanford, and Johns Hopkins University (to name a few!). The database is searchable so you can find what you’re looking for whether it’s business analytics, infographic design or anything in between. When I was just starting out and looking for ways to work from home on the cheap, I turned to e-books. I found that they were super valuable, highly condensed resources that packed a lot of information into a relatively short book. What’s great about e-books is that you can find one on just about anything — freelance writing, virtual assisting, data entry, online design — you name it, chances are there’s an e-book for it. While I loved the information presented in e-books, I also wanted a way to read them for as cheap as possible. That’s when I downloaded the free Kindle Reading App and started sourcing as many free Kindle books as I could find. There were tons of options but many of the books I wanted to “browse” before buying cost $10 or more. My solution? Start a Kindle Unlimited 30-Day Free Trial . This provided access to thousands of titles on my wishlist for free. I planned on canceling the subscription at the end of the 30 days, but ended up keeping it for several months — but it was well worth it! For less than $30, I was able to learn how to start a freelance writing career with absolutely zero experience. Your turn! What are your favorite work from home courses or resources? Have you tried any of the ones listed here? Leave your thoughts in the comments below. As always, if you have questions you don’t want to leave in the comments section, feel free to email me directly at ashlee@workfromhomehappiness.com Don’t forget to like Work from Home Happiness on Facebook for your daily dose of home-based job leads and helpful advice! This post may contain affiliate links. Please, see my disclosure for more information. I would love to dialogue, with you regarding finding a stable company that I can eventually work from home permanently. I know that you are probably very busy-but I would like you to look over my resume, and give some possible pointers on where I can apply to do what I love (and are qualified for ) at home. 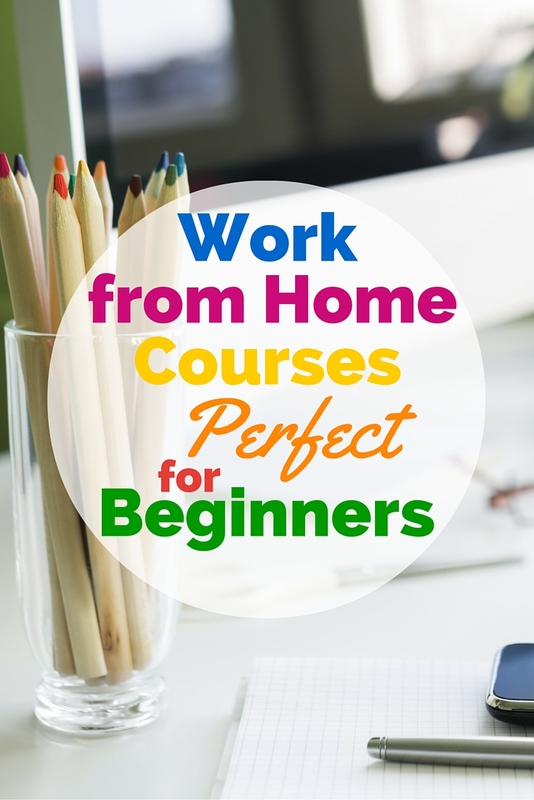 What a great round up of courses for work at home people. I’m a freelance writer and mom to twin toddlers and I know that working from home was the best decision I ever made! The courses you recommend seem real credible and you don’t need to break the bank to take one! I’ll definitely recommend this post to my other mommy bloggers! I love your tips. Great post layout too, very easy to read.